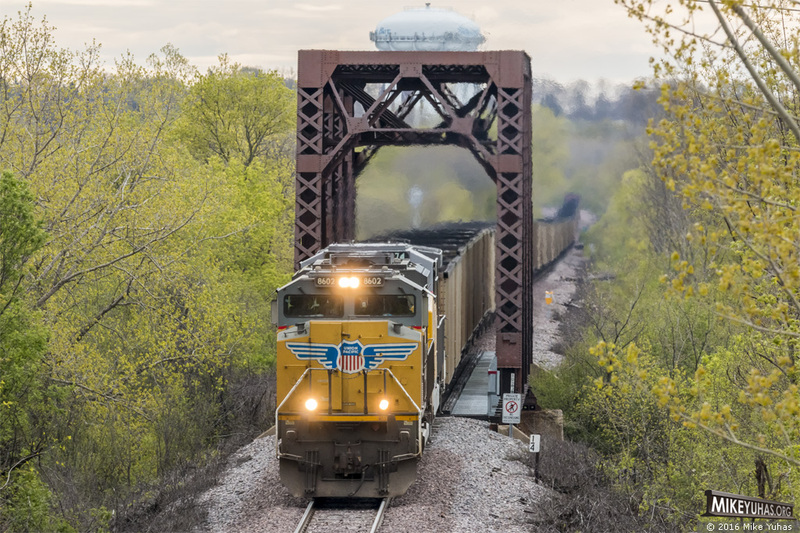 An empty Sheboygan coal train heads timetable south (geographically west) on UP's Shoreline Subdivision. Train is on bridge that crosses over WSOR. The lead unit's headlight has been repaired.